Vetulonia had been already a flourishing town since the 7th century, and nowadays it is famous for its Etruscan tombs (Pietrara's one, Diavolino's one, etc.) and also for the Roman quarter "Scavi di città" (town excavations) and for its Acropolis. Above the towns of "Ghiaccio Forte" (strong ice) in Scansano, of strategic importance and recently discovered, Heba and Marsiliana, you should visit the Saturnia thermal baths, already famous at Romans'time. You will find Etruscan traces in the Fiora valley, in Pitigliano, Poggio Buco (in Statonia) and Sovana, whose necropolis have been digged in the tuff. Here there are great tombs, like the "Ildebranda", in the surroounding area of the town, in an attracting landscape. On the coast, in the Uccellina Mountains and Burano lake area, traces of two civilizations meet together, the one upon the other: the Roman and the Etruscan one, in Orbetello and Talamone. On the contrary, of Roman origins are the "Villa" in the island of Giannutri and the ruins of the great town Cosa (in Ansedonia), where it is also possible to appreciate the "Tagliata Etrusca": it is a watering system built by the Romans to avoid the sanding up of the port. During the first period of the High Middle Ages the area was characterized by the presence of the Benedictine monks (the S.Rabano abbey on the Uccellina). This area flourished again when, from the 9th to the 13th century, the Aldobrandeschi family came to the power. They ordered many castles to be built. The most important castles are the following ones: Scarlino, Porrona, Arcidosso, Montepo, Marsiliana, Triana, Manciano, Selvena etc. The belongers to the Aldobrandeschi family were sent away from the power in 1200 by the Senesi (people from Siena); the Senesi were in fact living an expansive phase, which led to the building of great defensive works: (the castle of Talamone, the Cassero of Grosseto, The Wall of Magliano and Saturnia, the fortification of Paganico etc.). The most important religious monument in this area is the Massa Marittima cathedral, built between the 13th and the 14th century. 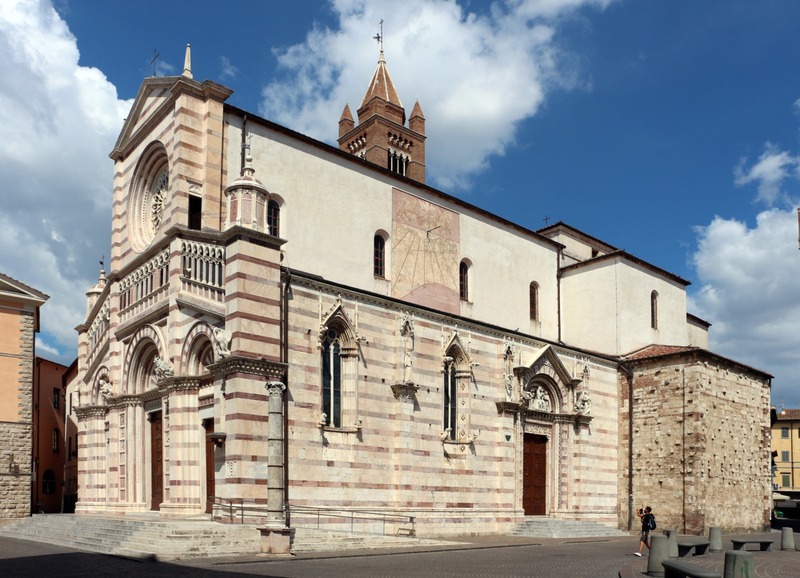 Some other historic religious buildings deserve to be mentioned: the cathedrals of Grosseto and Sovana and the churches of Montemerano, Montepescali, Campagnatico and Arcidosso. Roccastrada offers marked paths, which spread through many colours: countless green shades, interrupted by the yelllow of the brooms, by the red of the poppies and by the blue of the cornflowers, that grow on the spring fields. Some walks, that you can enjoy both on foot and by bycicle, join the ruins of castles, medieval villages, towers and country churches, all full of history, and which have maintained their ancient atmosphere; Roccastrada, chief town and medieval centre dating back to the 10th century; the S. Niccolò church, with two '600 frescos that portray the Annunciazione and the Virgin Lady with the Holy Child (both of them have been recently restored by the local archeological club); Montemassi, a medieval village with a stately castle, which has been many times exposed to sieges between the 14th and the 15th century. The occupation of Montemassi by the Sienese Republic, in 1328, is described in the famous and questioned fresco by Simone Martini. The painting is in the Globe Hall in the Public Palace in Siena. Roccatederighi stands on a cliff facing the Maremma. Inside the village you can notice the rests of the old castles and of the walls. In the upper part of the inhabited centre, there is the Bishop S. Martino parish church, already known during the 10th century. The villages of Roccatederighi and Sassofortino, not far the one from the other, are situated on the Sassoforte Mountain declivity; upon the top of the mountain (750 m.) there are the rests of a stately castle. Ribolla, a place where there is a very important brown coal mine, has been strongly influenced in its building by its ancient rule of miners village. Sticciano has been mentioned for the first time in a document in 966. This village offers a wonderful landscape over the whole Maremma. On a natural balcony there is a Roman church with a single rectangular nave and a half-circle-like apse.